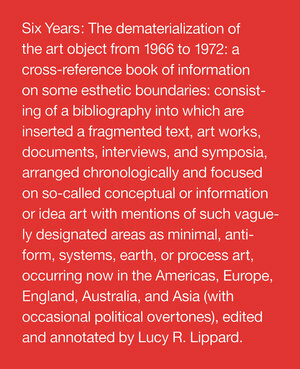 In Six Years Lucy R. Lippard documents the chaotic network of ideas that has been labeled conceptual art. 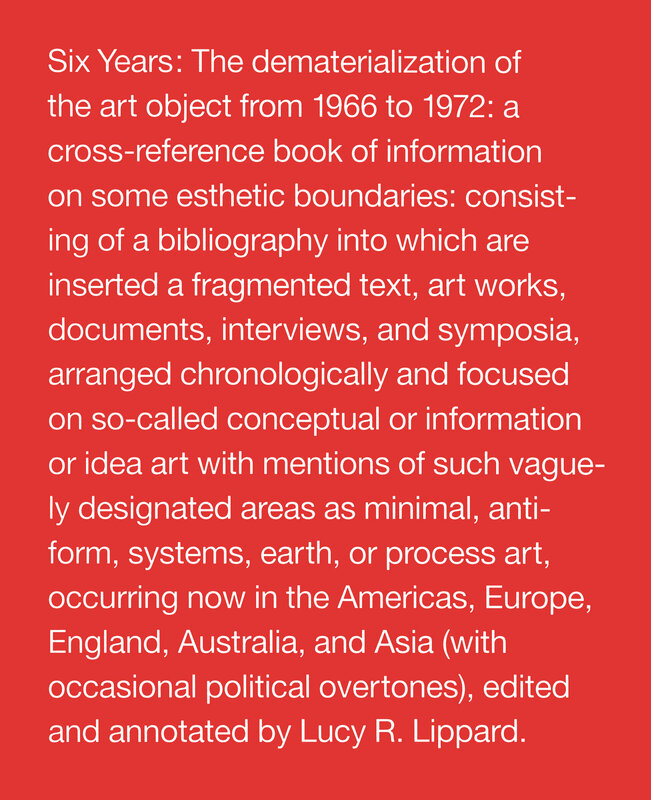 The book is arranged as an annotated chronology into which is woven a rich collection of original documents—including texts by and taped discussions among and with the artists involved and by Lippard, who has also provided a new preface for this edition. The result is a book with the character of a lively contemporary forum that offers an invaluable record of the thinking of the artists—a historical survey and essential reference book for the period. Lucy R. Lippard is a writer, activist, and curator, and the author of 17 books including Eva Hesse, Overlay: Contemporary Art & the Art of Prehistory, Mixed Blessings: New Art in a Multicultural America, The Pink Glass Swan, and The Lure of the Local: Senses of Place in a Multicentered Society.